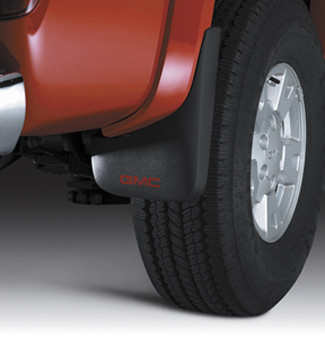 GM Accessories splash guards look great while helping protect your vehicle from mud, dirt, snow, salt, and gravel. 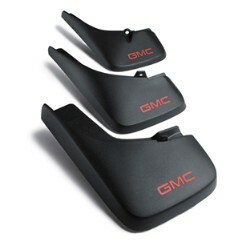 Made of fortified, long-lasting, high-grade polypropylene with rubber reinforcements, the guards will not chip, crack, or tear and will withstand extreme temperatures. Packaged in pairs.. This product replaces 12499686.